The major new three-track Summit, taking place on the first two days of Game Developers Conference 2010 at the Moscone Center in San Francisco next March, has been designed to educate and inspire on the rise of socially connected gaming. As the Summit advisors, which include notables like Metaplace's Raph Koster, Habbo's Sulka Haro, Playdom's Steve Meretzky, and Playfish's Sebastien de Halleux, explain: "Today we see that many of the most popular games in the world are played on social networking services such as Facebook, MySpace, and hi5. These games are capturing tens of millions of mainstream users, people who do not consider themselves gamers." 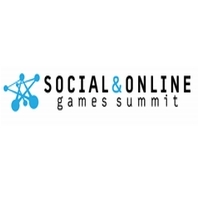 GDC 2010's Social and Online Games Summit has been engineered to sit at the intersection of multiple converging trends, "bringing together leading thinkers and businesspeople to provide the attendee a snapshot of the industry and where it is going." In this lecture, Zynga's Amitt Mahajan will discuss "lessons learned and techniques used developing Farmville, a Flash game that was developed in just over a month, and then went on to become the #1 application on Facebook." Both fast iteration and back-end technical issues will be discussed in-depth. - Why Are Gaming Veterans Flocking to Social Gaming? A panel of core and casual gaming heavyweights, including Zynga's Brian Reynolds, Playdom's Meretzky, and veteran creators Noah Falstein and Brenda Brathwaite "will discuss what prompted them to join the social gaming revolution, what's unique about the industry, and how the 'old rules' do and don't apply." Never shy about going out on a limb, they'll also share their predictions about social gaming's future and what it means for the broader gaming industry. Playfish's Jeferson Valardes, a studio director for the London studio of the Pet Society creator, is using this design-centric lecture to discuss how "many assumptions have to be challenged" for social games, but "some of the core and casual mantras can be applied." As he explains: "This presentation is intended as a rough guide on what to pack from your past experience when moving to this fresh new frontier, and is based on personal experience." In this talk, Maxis' Caryl Shaw and Area/Code's Demetri Detsaridis will discuss the process of taking a AAA brand, conceived of and optimized for the traditional retail environment, and extending it into the world of social gaming, with particular reference to creating Spore Islands for Facebook: "the first social game based on familiar game-industry IP that's not just an advertisement, or a brand-awareness campaign, but a legitimate platform extension." IMVU vice president Lee Clancy's company has been working with virtual goods for some time, as IMVU's 40 million registered users purchase a wide range of user-generated items, from clothing for their avatars to furniture for their virtual rooms. These items drive 85% of IMVU's revenue, and he'll discuss, via "real-world examples and data-driven learnings", practical insights into the virtual goods market. Other topics covered the Social & Online Games Summit, which can be attended via All-Access or Summit-specific GDC 2010 passes, will include the secrets of virality, the next generation of mass market multiplayer, and the ways in which virtual worlds are changing to meet the demands of an ever-growing audience -- plus opportunities for new players in both mature and emerging markets.